7 May, Paul Kruger addresses the volksraad for the last time before being forced to travel on the Delagoa line to Machadodorp, where he lives on his train carriage. 11 September, Accompanied by his private secretary, Paul Kruger crosses the Komatipoort border . 19 October, Paul Kruger goes on board the Dutch cruiser, De Gelderland, that is diverted from sea by Queen Wilhelmina of Holland. 22 November, Paul Kruger reaches Marseilles and embarks on a voyage to create enthusiasm for the Boer cause, with some success. However, not one government does anything concrete for the Boers. July, Paul Kruger's wife, Gezina Susanna Frederika Wilhelmina, dies in Pretoria. An archives branch of the Department of the Colonial Secretary is established with the purpose of taking intellectual and physical control of the archival records of the former Zuid-Afrikaansche Republiek. May, A peace treaty is signed. Paul Kruger moves to Mentone, on the French Riviera. Fietas, Johannesburg: 5 stands are transferred to Indians. October, Paul Kruger moves to warmer climate of Mentone. Fietas, Johannesburg: The 'Coolie Location' is struck by bubonic plague. 20 March, Fietas, Johannesburg: The mixed population is evacuated and the area burned to the ground. 24 May, Paul Kruger establishes himself in a villa at Clarens on lake Geneva. July, Fietas, Johannesburg: Most of the evacuees start moving back into the urban centre, mostly into the 'Malay Location', one of the view areas for legal 'non-white' occupation. 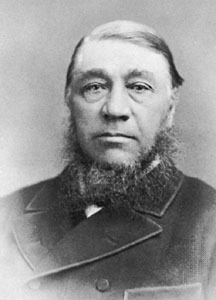 14 July, Paul Kruger dies from cardiac failure, after a period of illness. He is buried next to his wife, Gezina Susanna Frederika Wilhelmina, in Pretoria. Fietas, Johannesburg: 48 stands are transferred to Indians. Fietas, Johannesburg: Indians increasingly become stand-holders. 5 September, Fietas, Johannesburg: Dr Yusuf Dadoo is born.